Before this becomes the biggest non-story story of the month, I wanted to point out a couple of things regarding the manageability of Windows on Arm. I think that all businesses, when given the choice, are going to choose more management over less management all things being equal, right? Two points, though. First, all things are not equal. Second, our customers WILL have this choice for more vs. less management, no matter what more we find out about WOA. I’ll explain my thoughts on each. There is still Choice: If a business really needs the advantages of Win8 for touch, metro-style apps, whatever, but doesn’t want to give anything up, they will have this option…on Intel. Intel is moving forward as well, dramatically increasing battery life and power efficiency with their new chipsets, and Windows 8 will make such strides in the area of battery life that I wouldn’t be surprised (although I obviously don’t know this for sure) to see iPad-length battery life with Windows 8 on some Intel-based devices, and maybe even better on WOA. I would imagine that an Intel-based tablet or other type of device will generally be a bit more expensive than it’s WOA cousins, but that is a price for having a true PC, not just a mobile device. Windows 8 will be the only platform to provide this choice, so as long as customers are properly educated on the differences (and some of these differences are yet-to-be-known) they choose properly based on their various users’ needs, this should be a non-issue. There is a big difference between choosing a WOA device (which is a mobile device) and choosing an Intel-based Windows 8 machine (which is a true PC, and replaces, it doesn’t add to, an existing PC). The choice is there, and this is not a sky-is-falling scenario; in my mind, this is a huge opportunity for Microsoft, and for Microsoft’s customers, who have never had this much choice to provide the right devices to the right people on a unified platform (at least unified in the future-oriented areas where it makes sense, such as Metro-style apps and Office 15). Keep in mind, too, that WOA will surely evolve, hopefully quickly, to include more features that make sense…and these could include additional manageability features that may start to make the clean break of WOA more of a no-brainer for even traditional business users…especially as the Windows Marketplace gets more and more stuffed with apps after launch. For more information (a lot, actually) on WOA, take a look at Steven Sinofsky’s blog post on the “Building Windows 8 Blog” on this subject. Also, Paul Thurrott has a very interesting take on WOA and it’s NT roots along with the apropos “history repeats itself” theme. 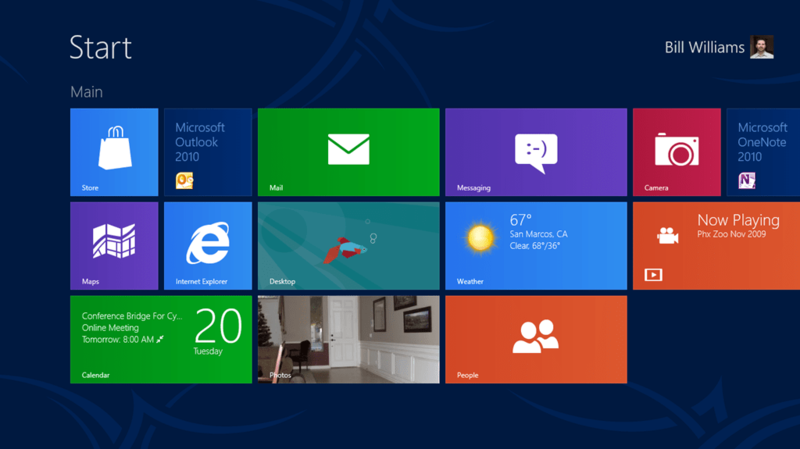 Let me know what you think about the differences that we know about so far between WOA and Windows 8 on Intel.